The Health Professions Council of South Africa (HPCSA) has confirmed to Health24 that Professor Tim Noakes, who maintains that a diet high in fat is actually far healthier than we’ve all been led to believe, will be facing a two-day hearing. HPCSA communications manager Priscilla Sekhonyana told Health24 the complaint relates to unprofessional conduct. "A hearing will be taking place on 4 and 5 June 2015." 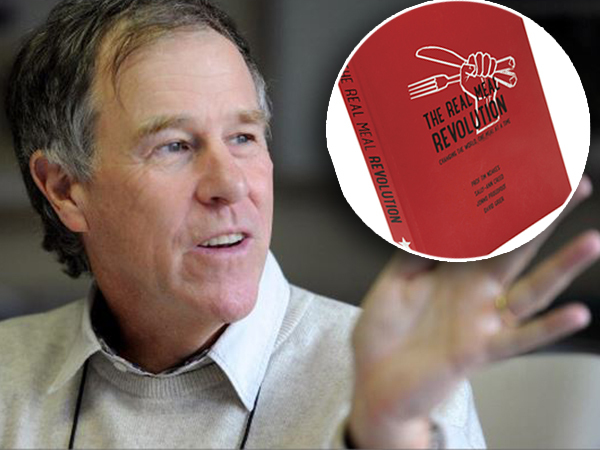 Prof Tim Noakes, whose book, The Real Meal Revolution, is rooted in the concept of "Banting" – low carbohydrate high fat (LCHF) – told Health24 that the complaint was lodged by the Association for Dietetics in South Africa's (ADSA) president Claire Julsing-Strydom. "I presume it is a personal complaint and not from ADSA directly." He said that he advised a mother on Twitter that she should wean her child onto LCHF foods, which he described as real foods. "By implication I was saying that the child should not be weaned onto the traditional high sugar, high carbohydrate processed cereals." "Ironically these were the first 'industrial' (i.e. highly processed foods) and they led in time to the highly processed foods that we now eat (and consider to be healthy), in part because as infants our taste was conditioned by our early exposure to these non-foods. "The aim of The Real Meal Revolution is to encourage the public to understand that they will be healthier eating real foods not fake industrial processed foods. And this need to begin from birth," said Noakes. He said when he appears before the HPCSA they will decide whether or not he is guilty of “disgraceful conduct on social media”, however Noakes is quite positive. "I think it could be a turning point in the debate about what our infants, and in turn adults, should be eating," he said. "If the representatives of HPCSA are prepared to listen to the science, they will realise that there is something very seriously wrong with the teaching of nutrition in South Africa, as it is in the rest of the world." Noakes added: "The choice between health and ill-health begins with our infants as soon as they are weaned. Attempts to keep this information from the general public cannot succeed forever." Health24 contacted ADSA for comment on the matter. Julsing-Strydom said: "ADSA has been advised by the HPCSA to not provide any comments on this matter as the inquiry is subjudice." In February Noakes hosted South Africa's first low carb lifestyle summit where 16 health experts discussed among other things the widespread increase of obesity and diabetes and how our traditional view on a low fat diet has influenced this. At the time he said that people who were the most vocal about his eating plans turned down the opportunity to attend the conference.